The survey also stated that while 66% of Australians will develop skin cancer by the age of 70, some were not aware the eyelid region was one of the most common sites for non melanoma skin cancers. A wearable brain-based device called NGoggle that incorporates virtual reality (VR) could help improve glaucoma diagnosis and prevent vision loss. The device consists of head-mounted VR goggles that use light to stimulate targeted areas in a patient’s visual field. Its portability means it could be used in a variety of environments such as in an eye care professional’s office, community centre, or at home. The VR goggles are integrated with wireless electroencephalography (EEG), a series of electrodes that adhere to the scalp to measure brain activity in response to signals received from the eyes. Within a few minutes, the NGoggle algorithm captures and analyses enough data to report how well each eye communicates with the brain across the patient’s field of vision. Diminished activity may indicate functional loss from glaucoma. Dr Felipe Medeiros, a co-founder of NGoggle, Inc., and a professor of ophthalmology at Duke University School of Medicine, said the device’s VR capabilities can be greatly leveraged – people could be tested for glaucoma as they play a VR-based video game or explore a virtual art gallery for instance. “The possibilities are endless for making it an engaging experience, which would go a long way toward ensuring that people use it and receive the treatment they need,” he said. In a partnership with Duke University, a study is being conducted to validate the diagnostic accuracy and reproducibility of the device. In addition to comparing NGoggle to standard automated perimetry, they will look at how well NGoggle discriminates among different stages of disease by comparing its assessments of the neural damage in glaucoma with standard imaging techniques such as optical coherence tomography. The investigators also plan to conduct longitudinal investigations to validate the ability of the device to detect disease progression. Results will inform an application to the U.S. Food and Drug Administration to market the device. Scientists are embracing novel approaches to treating disease – the use of faecal implants and tablets to treat gut problems and serious conditions such as depression, Parkinson’s disease and multiple sclerosis, was one of the big medical stories in 2018. Now both the gut and ocular surface microbiomes are being explored by researchers chasing a cure for one of the most common and persistent eye conditions – dry eye. Dr Judith Flanagan, Leader of Ocular Therapeutics at Brien Holden Vision Institute, says studies have demonstrated a link between the immune system and dry eye disease, prompting them to investigate whether probiotics taken orally will reestablish proper immune system function and combat the problem. “There is substantial evidence associating the gut microbiome with systemic inflammation in disease states such as diabetes, irritable bowel syndrome and dermatitis,” she said. “It’s also been found that taking probiotics, which act to help restore a disrupted bacterial community in the gut, can have a positive effect on both systemic and localised immune system function. “So, working within an ecological framework, we’re investigating whether these probiotic supplements can reconstitute a healthy microbiome, either at the site of the disease or enterically, and act to reduce the severity of signs and symptoms of dry eye disease. Along these lines, another avenue being explored is the use of topical treatments at the ocular surface in an attempt to ‘rebalance’ the ocular microbiome. “It’s possible that the microbial community on the eye’s surface plays a role in the development of meibomian gland dysfunction. A change to the balance of this commensal community may lead to eyelid inflammation, changes to the composition of the eye’s tears or to the quality of the meibomian lipids that form the upper most layer of the tear film. Dr Flanagan said research has shown that low dose oral antibiotics are useful in treating meibomian gland dysfunction but the concentrations used are below levels needed to eliminate bacteria and the effects are instead, anti-inflammatory. However, with concerns that long term oral antibiotic use can diminish our bacterial communities, and that exposing bacteria to non-biocidal levels of these drugs can induce antibiotic resistance, the researchers are proposing an alternative approach. “Rather than using antibiotics to target the lipase enzymes, we are developing a bacterial lipase inhibitor ointment derived from natural products (coconut oil) that can work to rebalance a healthy ocular microbiome and deliver increased ocular comfort and reduced dry eye disease,” said Dr Flanagan. “We have already shown in the lab that our novel agent can inhibit production of bacterial lipase without being antimicrobial. It has also been shown by others that bacteria never develop resistance to this agent and that this lipase inhibitor does not affect the healthy bacteria that we need on the ocular surface. We hope, through a clinical trial, to provide initial evidence that this approach can reduce the signs and symptoms of dry eye disease by naturally allowing the bacterial community to find an ecological balance. “We’re currently recruiting participants for this trial of the topical ointment (which is applied on the skin around the eye rather than in the eye) and planning for an oral probiotics study in the near future, so if there are optometrists working in the inner Sydney area who have patients that might be interested we would love to hear from them,” said Dr Flanagan. What causes digital related eye strain? Sit about 25 inches, or arm’s length, from the computers screen. Position the screen so your eye gaze is slightly downward. While nine out of 10 Australians say that sight is their most valued sense 2, over 8 million Australians are still not having regular eye tests3. Glaucoma Australia recommends all Australians 50 years or older visit an optometrist every 2 years for a comprehensive eye exam, and if you have a family history of glaucoma or are of Asian or African descent we recommend you get your eyes checked every 2 years from the age of 40. First degree relatives of a person with glaucoma have an almost 1 in 4 chance if developing glaucoma in their lifetime, and that risk increases to 56% if their glaucoma is advanced. So knowing your family health is important. Encourage people at risk of developing glaucoma to get their eyes checked at least every 2 years. Remind anyone with glaucoma to alert first-degree relatives of the benefits of early and regular eye checks. 4. It hurts – it’s pain free! So guess what? None of these are true! Contact FOCUS Eye Centre on 02 9663 3927 to book your consultation today with our friendly team to find out if you are suitable for SMILE, LASIK or PRK laser eye surgery. A good candidate is also one who, despite expecting improved vision, will still be OK with the idea of having to wear glasses under certain situations, such as when driving at night. https://focuseyecentre.com.au/wp-content/uploads/2019/01/laser-eye-safety-Custom.jpg 400 662 Team Focus https://focuseyecentre.com.au/wp-content/uploads/2014/01/focus-logo.gif Team Focus2019-01-29 15:28:492019-01-29 15:28:52Am I a Candidate for Refractive or Laser Eye Surgery? Chinese scientists have engineered drug-delivering contact lenses that change colour to report exactly how much medicine has been released to the eye. The research was conducted by a team from China Pharmaceutical University and the State Key Laboratory of Bioelectronics at Southeast University. They believe their work will help eye doctors accurately treat eye diseases with drugs. Due to improved drug residence time and bioavailability, contact lenses have emerged as a potential alternative to delivering drugs directly to the eye. However, monitoring drug release in real time has been a challenge for ophthalmologists. The major drawbacks of eye drops have been well-documented in previous studies, including the fact that often fewer than 5% of drugs end up being absorbed via this method. Much of it also ends up in the bloodstream instead of the eye, causing side effects. 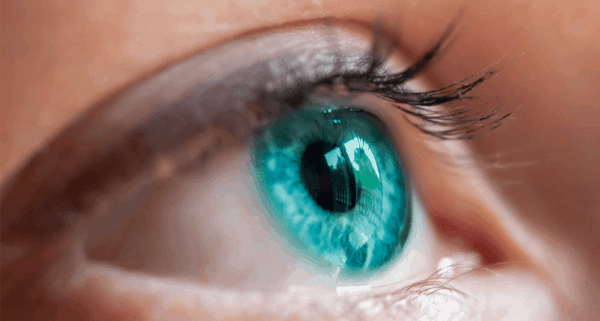 However, the six-strong Chinese research group believes it may have at least partly overcome these issues by engineering a fabricated contact lens for sustained release of the drug timolol – used to treat increased eye pressure in ocular hypertension and glaucoma. The colour-sensitive contact lens uses molecular imprinting, a technique that creates molecular cavities in a polymer structure that match the size and shape of a specific compound, such as a medicine, according to Sci-News. In lab experiments, the molecularly imprinted contact lenses were loaded with timolol, before the scientists exposed the lenses to a solution of artificial tears, which was used as a stand-in for the eye. As the drug was released from the contact lenses, the architecture of the molecules near the drug changed, which also changed the colour in the iris area of the lenses. No dye was involved in the process, reducing possible side effects. The researchers could see this shift with the naked eye and with a fibre optic spectrometer. “The fascinating contact lens can be further used for controlling release of a large number of ophthalmic drugs and has high potential to be a new generation of functional contact lenses,” the researchers concluded. Blinding Acanthamoeba keratitis infections are on the rise, according to a new study led by UNSW’s Dr Nicole Carnt. The research, which was conducted at Moorfields Eye Hospital in the UK while Carnt was on an NHMRC CJ Martin Biomedical Early Career Fellowship, found a threefold increase in Acanthamoebakeratitis infections in Southeast England since 2011. However, while the study is based on data from the UK, Carnt said its findings were equally important in Australia. “It is absolutely imperative that regulators and those working in the optical sector take the findings seriously, and use the recommendations to take immediate and urgent action on prevention,” Carnt said. 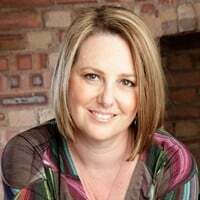 Carnt told Insight she has been working with the Cornea and Contact Lens Society Australia (CCLSA) to develop a website dedicated to healthy contact lens wear, along with other initiatives to raise awareness. “We are trying to encourage optometrists to talk about water related risks, as often they tend to skip over it as in the too hard basket or the risk too low to enforce the message,” she said. While the infection is quite rare, usually affecting 2.5 in 100,000 contact lens users per year, one in four people affected will need a corneal transplant to treat the disease and restore vision. A member of the Acanthamoeba Keratitis Patient Support Group in the UK led by Carnt, Ms Irenie Ekkeshis, says more needs to be done to prevent new cases. “This research confirms what those of us affected by Acanthamoeba keratitis have suspected for some time: that incidences of this awful, life-changing infection are on the increase,” Ekkeshis said. The microorganism responsible for the infection can often be found in bodies of water such as lakes, oceans and rivers, as well as domestic tap water, swimming pools, hot tubs, soil and air. As such, Carnt said contact lens wearers needed to be aware of the risks associated with use around water. “Acanthamoeba keratitis is a largely preventable disease. People who wear reusable contact lenses need to make sure they thoroughly wash and dry their hands before handling contact lenses, and avoid wearing them while swimming, face washing or bathing,” she said.